Acclaimed Chicago musician Nicholas Tremulis will launch a monthly music series at the Ed Paschke Art Center designed to reveal the private side of some of the "world's most compelling musicians," organizers said. JEFFERSON PARK — Acclaimed Chicago musician Nicholas Tremulis will launch a monthly music series at the Ed Paschke Art Center designed to reveal the private side of some of the "world's most compelling musicians," organizers said. Tremulis, known for his eclectic take on punk, jazz and rock 'n' roll, will perform at 3 p.m. Dec. 13 at the Ed Paschke Art Center, 5415 W. Higgins Ave. Afterward, acclaimed documentary filmmaker and five-time Emmy winner Dan Andries will interview Tremulis. At future Words and Music events, Tremulis will craft "a live musical biography" by asking the performers about "living, loving and surviving a life in music," organizers said. Tremulis, a fixture on the Chicago music scene for more than 30 years, performs with the Nicholas Tremulis Orchestra, on his own and as part of the bands Candy Golde and The Fauntleroys. He has also played with Keith Richards of the Rolling Stones, Billy Corgan of the Smashing Pumpkins and Wilco. 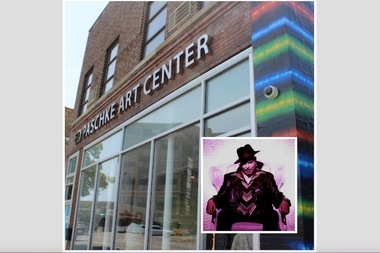 The Ed Paschke Art Center in Jefferson Park is dedicated to showcasing the colorful and up-close paintings of people's faces that made Paschke one of the most famous artists to call Chicago home. Admission to the museum and events is free, but reservations are required. For more information, call 312-533-4911, go to edpaschkeartcenter.org or email info@edpaschkeartcenter.org.